Alcatel has launched the latest smartphone Idol 4 in India; this phone comes with 5.2-inch Full HD IPS display with Precog UI (Touchless control), Live UI, and Parallax UI. Alcatel’s Idol 4 was introduced for the first time in MWC 2016 earlier this year. 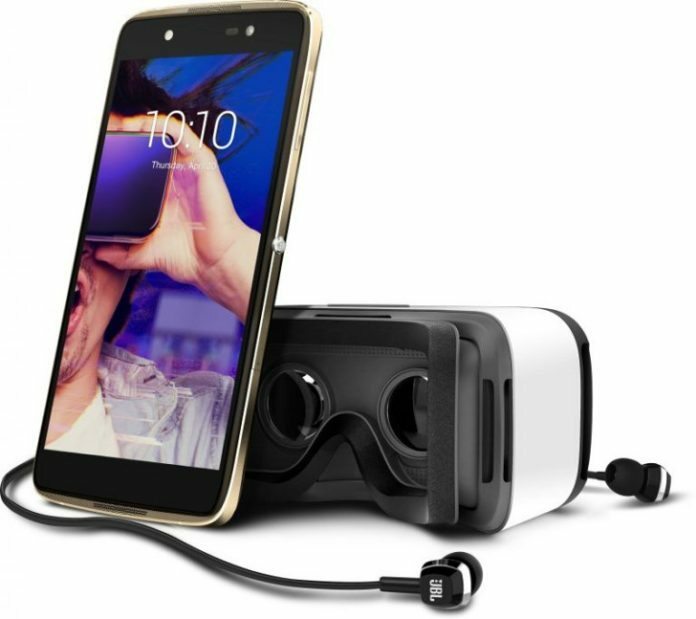 This handset arrives with the VR (Virtual Reality) headset built into the box for enjoying the 360-degree viewing and gaming. Along with this, it comes with the boom key that gives you the access to many functions with the press of a single button. This boom key on the side will let you control your music, videos, gallery, games and more. If we consider the example press and holding the button will make your camera to go in burst mode. If you press the recording the video, it will broadcast the video live. It comes with dual speakers which offer the audio output of 7.2 watts and Waves MaxxAudio technology. You will also receive the JBL Stereo headset in the box. 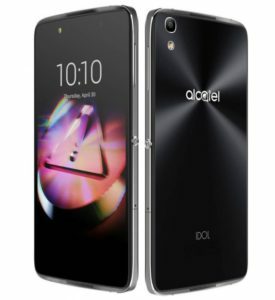 Alcatel Idol 4 smartphone is powered by Octa-Core Snapdragon 617 processor classified with (4 x 1.7GHz + 4 x 1.2GHz) clubbed with Adreno 405 GPU (Graphical Processing Unit). It is equipped with the 3GB RAM with 16GB internal storage, and it can be expandable up to 512GB with microSD. Alcatel Idol 4 is available in Gold, Metal Silver and Dark Grey color variants. It is priced at Rs. 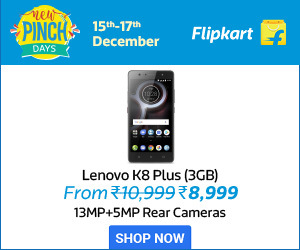 16,999, and it will be available on Flipkart exclusively.